100% AUTHENTIC Product. Constructed with synthetic and textile uppers, the durable foam midsole features a visible Max Air unit in the heel for maximum impact protection and the rubber outsole is created with a waffle pattern for traction and enhanced durability. Nike Air Force 1 '07 LV8 GS Size 6.5y. Condition is New with box. Shipped with USPS Priority Mail. Mens Snakeskin Nike Air Force 1 Sneakers, Size 8. Brand New. Snakeskin Nike Air Force 1 sneakers, size 8. Brand new, without the original box. 4.5 out of 5 stars - Mens Snakeskin Nike Air Force 1 Sneakers, Size 8. Brand New. 19 product ratings19 product ratings - Mens Snakeskin Nike Air Force 1 Sneakers, Size 8. Brand New. New without box. 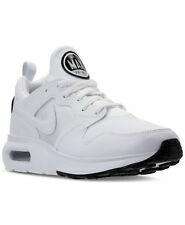 Mens Nike Air Max Prime Running Shoes Black White 876068 001 Size 10. Fast USPS Priority Mail shipping. 100% authentic Nike product Any questions please ask. Sample version in white, black and turbo green color way. 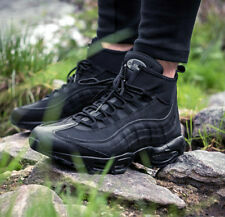 Half iconic runner, half boot, you can't go wrong with the Nike Air Max 95 Sneakerboot. AIR MAX 95. A water-resistant textile upper is greatly enhanced with a waterproof leather toe to keep your feet dry. NIKE AIR MAX 90 Sneaker Boots Leather Blue / Silver Size 9.5 316339-401 goadome BRAND NEW with box 1 pair shoe laces included There are dark spots from the factory on top of each toe (see picture 4) See all pictures for actual Message if you would like additional pictures. 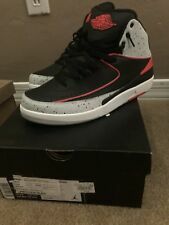 Size US 9.5 BRAND NEW WITH BOX Box corners and edges dented, aged. shoes brand new have been in climate controlled storage U.S. and Paypal payments only please. Payments required within 48 hours of purchase. Thank you for looking! These shoes are pre-owned and have scuffs marks and dirt on the soles/bottoms. Overall great condition. 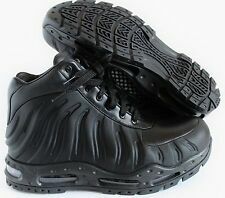 Nike Men's AIR MAX PRIME Shoes Manufacturer #: 876068-001 Color: Black/Black-White Size 13 A shoe built for prime time. The iconic Air Max line is modernized to the max. A fresh look with Air Max appeal makes the Nike Air Max Prime the perfect edition to your sneaker rotation. Booty construction, external quarter cage for dynamic fit. Lightweight IU foam with 3 visible air windows at the heel. Waffle pattern runner/foam outsole. Cored out foam. Visible air bag at outsole. 100% Authenticity Guaranteed Fast Shipping with double box!!! ALL MY FOOTWEAR IS 100% NIKE AUTHENTIC. The goal is that you get a great price if you keep the item. No exceptions. NEW NIKE AIR TALARIA Flyknit Athletic Sneakers Men's 9 M Black Shoes 856957-001. Shipped with USPS Priority Mail.